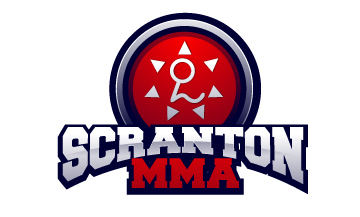 The group classes at Scranton MMA are a great learning experience with many wondeful benefits, including competition, comraderie, fitness, and of course the opportunity to become a highly skilled practitioner of the martial arets. Private lessons on the other hand allow for a clear advantage that group lessons can not; the undivided personal attention from your instructor. During the course of a private lesson you and the instructor can work towards correcting your mistakes, solving difficulties that you have with certain positions or techniques, and develop strategies to compliment your body type and style. Another great aspect of the private lesson is that you get to practice technique and spar with a high level person, namely your instructor. The amount of knowledge you gain from having the instructor execute technique with you and on you is invaluable, incredible as it may sound you will almost learn through osmosis! You can absorb the way the instructor moves, his weight distribution, the way he applies pressure with his position, and how he finishes or defends techniques. Additionally the reverse is true. Over the course of a private the instructor feels what you are doing wrong; he will diagnose where the gaps are in your positional heirarchy, identify the off-balances in your transitions, and pinpoint weakness in your offense and defense. Another added benefit of the private lesson to be considered is the decreased risk of injury. Group classes allow for a greater intesity of training that can at times, when practioners are not careful, result in an injury. In a private with your instructor you are in a much more controlled training session since your instructor has nothing to prove by roughing you up. Consider a private lesson if you are surgeon who can not risk having his fingers or hands damaged or perhaps a lawyer or high powered executive that can not risk a black eye before a big meeting. Regard a private lesson if you are the MMA fighter that is a week out from a fight or the practitioner that is within a few days of a big tournament or promotional seminar; neither person certainly wants to risk injury. All totaled the best mix for maximizing your technical growth is the combination of group and private lessons! Spend time in group classes in order to compile a list of problems and frustrations then schedule a private to fix them. See you on the mats and remember to add private lessons to your holiday wish list!